Take control of your website with WordPress. We are WordPress specialists offering affordable and accessible mobile friendly web design. See how our website designs have literally transformed businesses, charities and communities. Choosing iFamily to design and build our website has been the best decision we could have made! Their service has been second to none, and thanks to their hard work our enquires are flooding in. Did we mention we love WordPress? iFamily Director, Richard Senior is the founder of the official WordPress Bournemouth meet up group. Your WordPress Consultant in Bournemouth. 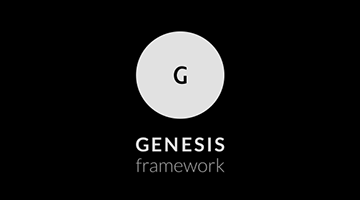 It’s no secret that we choose to work with the Genesis Framework for all our WordPress sites. Every customer deserves 1005 custom and the highest quality. We’ve done home remodeling sites, pregnancy sites selling prenatal dha and vegan dha supplements, and Fortune 500 Servers running huge databases. We build them all! Look Mum, I’m on the UK Genesis Podcast!